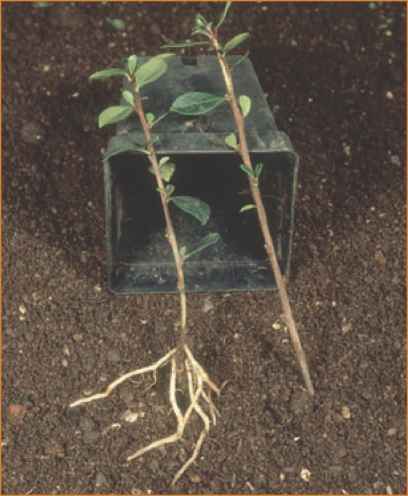 Figure 3.3 Stem cuttings from a woody ornamental (Pyracantha) that have developed adventitious roots. Cuttings taken from the same plant will be genetically identical to the parent and to each other. recombination; therefore, the genome of the offspring is identical to the parent. Cuttings can be taken from the stem, leaves, or roots. Stem or shoot cuttings are commonly used for the propagation of houseplants, cut flowers, woody ornamentals, and orchard trees (Figure 3.3). A cut is made just above the node, which is the junction of a stem and leaf. A callus will form at the point of the cut and adventitious roots will grow from the stem. Some species will more readily form roots from cuttings than others. The process can be accelerated by the application of root hormones. Cuttings can also be taken from stem modifications, such as tubers. Most familiar is the potato, which sprouts from the eyes on a tuber. The tubers are cut into pieces so that each piece contains an eye; these are used as seed plants. Plants that form bulbous stems, such as onions and tulips, produce multiple bulblets that are dug up, divided, and transplanted. Stolons, found on strawberry plants, are aboveground stem modifications with nodes that generate adventitious roots and shoots when they come into contact with the soil and can be used to generate new plants. Rhizomes are modified underground stems; some are edible (for example, ginger). Those found on the iris and many grass plants are not edible. Weeds that reproduce with rhizomes may become invasive and difficult to control because if the entire rhizome is not removed the plant will regenerate itself. Grafting is a method that involves the combination of the rootstock from one plant to the scion (stem cutting) of a second. The rootstock is usually from plants that have been well established in the orchard or vineyard. They may have excellent disease resistance or some other characteristic that makes them vigorous growers. The rootstock includes the roots and the lower portion of the stem. The scion is from a plant that produces a fruit with a new trait that the grower wants to reproduce. In a successful graft, the vascular systems will combine and the scion will grow and set fruit on the host's rootstock. 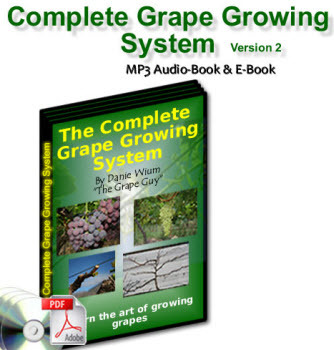 This procedure is often used with apple trees and grapevines. 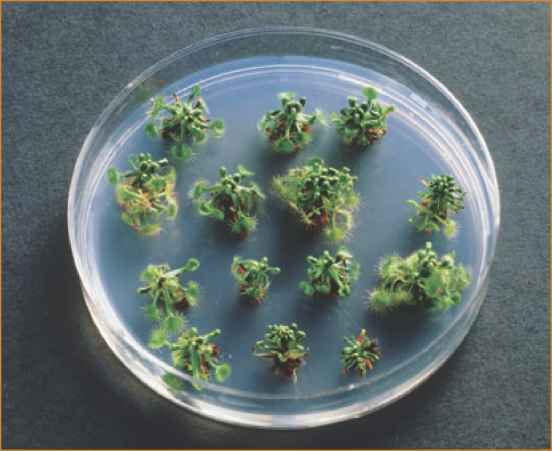 Figure 3.4 Round-leaved sundews (Drosera rotundifolia) are grown from tissue cultures on a gelatin media in a petri dish. In this process, known as micropropagation, clones are grown from single cells of a callus that formed from a wound inflicted on the parent plant. Can cuttings be taken from potato plants?